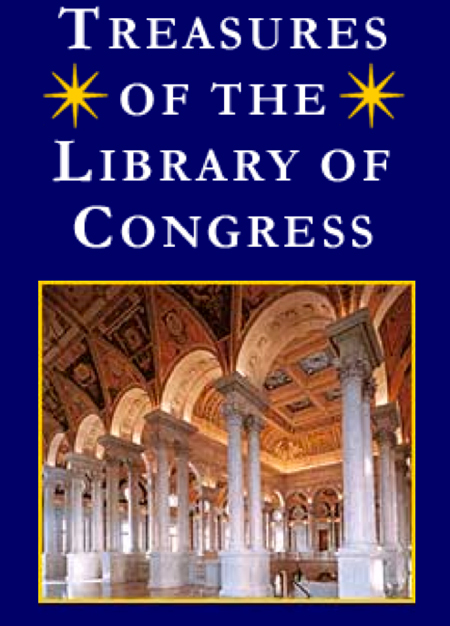 The Teaching with Library of Congress blog highlights a collection of videos featuring Library curators briefly describing treasured items and their historical importance and provides some ideas for using the treasure videos with students. You can access the collection of Hidden Treasure videos at the Library of Congress or from the Hidden Treasures playlist on the Library of Congress YouTube channel. For more treasures, don’t miss the Library’s online exhibition, American Treasures of the Library of Congress. Roam the digital galleries to learn about more than 250 items arraned in the manner of Thomas Jefferson’s library: Memory (History); Reason (Philosophy, including Law, Science and Geography); and Imagination (Fine Arts, including Architecture, Music, Literature and Sports).